We understand that all of our patients have differing orthodontic treatment preferences. Symmetry Orthodontics will tailor the treatment plan to suit your requirements and achieve the very best results for you. 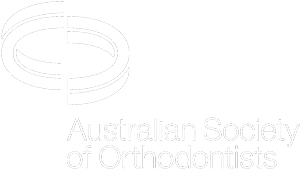 Symmetry Orthodontics is an accredited Invisalign provider on the Sunshine Coast. The transparent aligners enable you to straighten your teeth without anyone even knowing, providing a practically invisible option to braces. We also offer clear porcelain or coloured braces, so if you want to express yourself we have the right solutions and colours to suit you! Our Invisalign and Spark clear aligner treatment consists of a series of nearly invisible, removable aligners that you change every two weeks for the next set of aligners. Each aligner is individually manufactured for your teeth, and your teeth only. Symmetry Orthodontics offers traditional metal braces, coloured braces and ceramic braces. Conventional braces are devices used in orthodontics that align and straighten teeth and help to position them with regard to a person’s bite, while also working to improve dental health. Insignia is a computerised system that combines digital treatment planning with specially made brackets and wires tailored to your individual teeth. Following an initial consultation, your orthodontist will take an impression of your teeth for the Insignia smile design lab. Symmetry Orthodontics can advise in any instances where surgery is an option for an optimal orthodontic outcome. In some cases, results are enhanced in conjunction with the expertise of a maxillofacial surgeon. Symmetry Orthodontics provides Temporary Anchor Device or TAD technology as a treatment option for our patients. This is a relatively new technology allows mini implants to be placed within the dental bone. Symmetry Orthodontics provides a range of treatment options for children including Upper Removable Appliances, Rapid Maxillary Expanders, 2×4 Appliances, Quad Helixes, Thumb Sucking Deterrence Appliances and Fixed/Brackets.